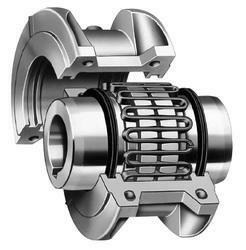 Offering you a complete choice of products which include falk couplings. Our Steelflex grid elements have been shown to outlast the competition, resulting in fewer replacements and less frequent inspections. Fewer grid failures translate to less wear on hub teeth. Falk Steelflex Grid Couplings require far fewer hub replacements, saving time and money spent on heating components, moving equipment and realigning shafts.